We would like to Welcome Baker Garage as our newest sponsor! They are based in Denver, CO and are a fully equipped automive facility specializing in Volvo repair and maintenance, as well as, general repair, maintence and custom work on all makes. They have made a commitment to help us keep trails open and it's important for the off-road community to support these businesses who support our access! Click HERE for their website. In a small town, tragedy is rare and strikes close to home. On August 7th, during a family outing in the Rocky Mountains, a member of our off-road community lost her life and a family pet was lost in the mountains. High above the small town of St. Elmo, members of the off-road community came together to do what they could for the family. A day of wheeling in the Rockies, a favorite activity for this family, turned tragic when a simple mistake became a life shattering event. A Jeep JK went off the side of the shelf road section in the rock slide area of Iron Chest trail. The Jeep traveled over 500 feet before coming to a rest. On August 8th, Colorado 4x4 Rescue and Recovery was contacted by the family and planning went into action right away. First came a scouting mission on August 11th with CORE (Colorado Off-Road Enterprises) and the U.S. Forest Service. The magnitude of the situation was almost overwhelming. Although the setting was beautiful, the scene was inhospitable for recovery. 540 feet down a boulder strewn slope ranging from 30-60 deg, was the battered Jeep. After descending to the scene where the vehicle came to rest, members from CO4x4RnR, CORE and the U.S. Forest Service formulated a plan. While scouting the scene, the area was also surveyed for the family dog, Bentley, who was thrown from the vehicle and disappeared. His condition was unknown but the team brought food and water in hopes of finding him. As part of the plan, CORE returned to the scene after a week to install necessary winch points in a slab of granite dominating the uphill side of the shelf road above the recovery site. Meanwhile, CO4x4RnR put its plan in motion and a team was formed. In addition to CO4x4RnR’s, CORE put out a call to its members to help staff the recovery and two of its members from Texas, made the trip to help. The ranger granted permission to close the road for the weekend to complete the recovery and would be on site for the effort. The weather cooperated and a bright cool morning greeted a total of 25 members, the USFS ranger, as well as a Chaffee County Search and Rescue North member who returned seeking closure. Limited room on scene and no ability to turn around on the shelf road demanded that all the team members and gear be transported in as few vehicles as possible. Seven loaded rigs ascended the mountain, through a boulder field that is demanding for all but the most capable rigs. The scene at 11,500 affected people immediately. Rigging commenced right away regardless, there was a task to be completed. There had previously been sporadic sightings of Bentley high on the ridge above the recovery site, so family travelled from Kansas to Colorado to try and coax the dog to return home. A radio from the recovery team was given to the family ascending to the peak, so they could contact the CO4x4RnR team if they needed help or assistance. Our own Safety Officer also tracked the family in their search, well above the recovery site. 1,080 feet of line, for two winches, was run down the slope. The Jeep was secured so repairs could be made and after 2 hours, winching commenced. It was a slow and demanding process, pulling the Jeep up slope, 75 feet at a time, using both winches to make the grade. The weight and slope demanded resting the winches in order to cool them; rest was often needed for everyone. The process of winch, re-rig, and winch again continued for hours through a rain squall and sporadic lighting. A much needed infusion of energy came at just the right time, as the family appeared on site with Bentley in tow. A call went out over the radio notifying the workers down below, and a somber scene and an exhausted recovery team was reinvigorated as they watched Bentley and his family walk through the recovery scene and around the bend towards home. Three groups of winchers and riggers brought the Jeep to within 50 feet of the road as darkness set in on the first day’s team of exhausted members. They descended through the ¼ mile long boulder field, in the dark of night, towards much needed rest. Day two welcomed a team of CO4x4RnR and 7 CORE members to bring the vehicle to the road. The vehicle was winched to the road up the steepest slope and rotated. It finally returned to the road, one last time. The Jeep was inspected, repaired for towing and brought down the narrow and rocky trail, to come to a peaceful rest among the changing aspens in St. Elmo. 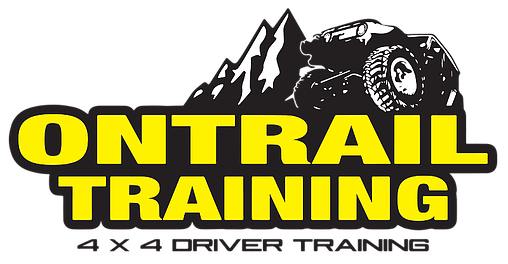 The greatest challenge ever presented to Colorado 4x4 Rescue and Recovery was met through a first of its kind joint effort by its members and those from CORE. With the help of the U.S. Forest Service, communications assistance from a member of Chaffee County Search and Rescue North, and citizens from Buena Vista, Colorado and St. Elmo, Colorado, that challenge was met. Both CO4x4RnR and CORE were extremely honored to be called upon to assist and we hope in some small way these efforts help the family heal.